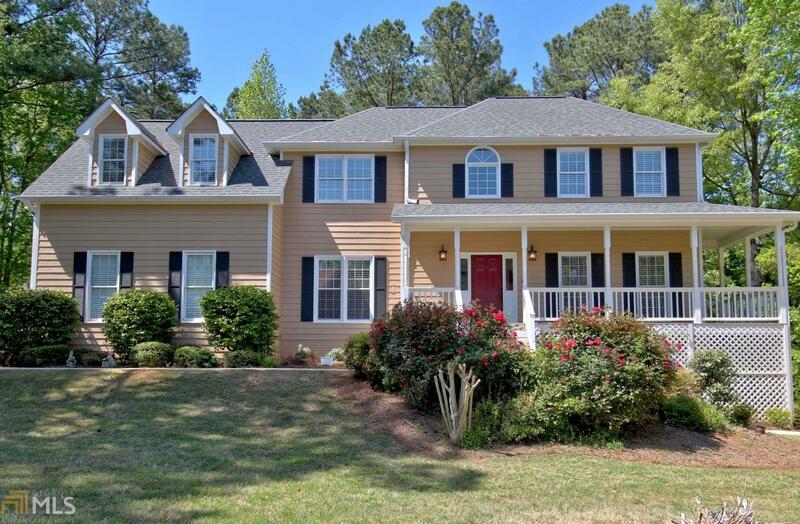 Beautiful Traditional home in North Peachtree City on nearly 1/2 acre lot. Many new upgrades. 5BR/4.5BA w/finished terrace level. Master on Main or 2nd floor w/raised gas fireplace. New: Carpet, Int. Paint, Lights, Ceiling fans, Exterior Lights, Hall Bath, New Bath Rms, Windows, Refinished HW floors ...too much to mention. A Must See! Lg Kitchen & bayed breakfast area open to huge Family Rm w/approx 10ft+ ceiling & eye catching Stacked Stone Fireplace to ceiling. French glass doors open to vaulted Sunroom w/slate flr. Private yd is perfect 4 outdoor fun or future pool. Terrace level w/BR /Rec. Rm/office, near new bathrm, LVP (luxurious vinyl plank) flrs. 4-HVAC&apos;s/Tankless H2O. Must See! LOCATION! Directions: From Hwy 54& 74 In Peachtree City Go North On Hwy 74 To Right @ Kedron Drive (See Church On Corner) To 1st Right@walnut Grove To Left @ Alderly Lane To #703. Culdesac Street - Quiet And No Cut Through!